Zunsport are pleased to announce that we can now offer to all of our customers the ability to buy a Gift Voucher which can be used to contribute towards buying a Zunsport product through the Zunsport website. The Zunsport Gift Voucher makes an ideal present for someone who wants a Zunsport product, but where the “Giver” wants to contribute to the “Receiver” getting what they really want. The vouchers are available in either 25, 50, 75 or 100 pounds Sterling units. When you purchase a Zunsport Gift Voucher you will be given a unique Redemption Code, which you will input at the Check Out stage of a purchase, and the value of the voucher will be automatically deducted from the purchase price of the product you have selected to buy. For those customers buying in a foreign currency the voucher will be charged in local currency at the prevailing exchange rate on the day of purchase. We will not re-convert at the time the voucher is redeemed. 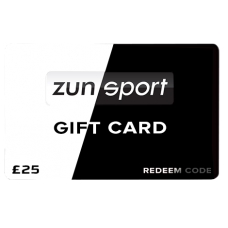 Gift Vouchers are valid for a period of one calendar year from the date of purchase and can only be redeemed against the purchase of a Zunsport product enacted through the Check Out process at www.zunsport.com. The value of the Gift Voucher will remain in GB Pounds Sterling. A Zunsport Gift Voucher is the ideal present to help someone who matters to obtain a grille that will add some style and protection to their vehicle.